Meditations and guided practices inviting us to take sanctuary in Sabbath, a day of rest. Toward the end of his life, Thomas Merton warned of a "pervasive form of contemporary violence" that is unique to our times: overwork and overactivity. In his work as a minister and caregiver, Wayne Muller has observed the effects of this violence on our communities, our families, and our people. On Sabbath, he responds to this escalating "war on our spirits," and guides us to a sanctuary open to everyone. Muller immerses us in the sacred tradition of the shabbat (the day of rest) a tradition, Muller says, that is all but forgotten in an age where consumption, speed, and productivity have become the most valued human commodities. 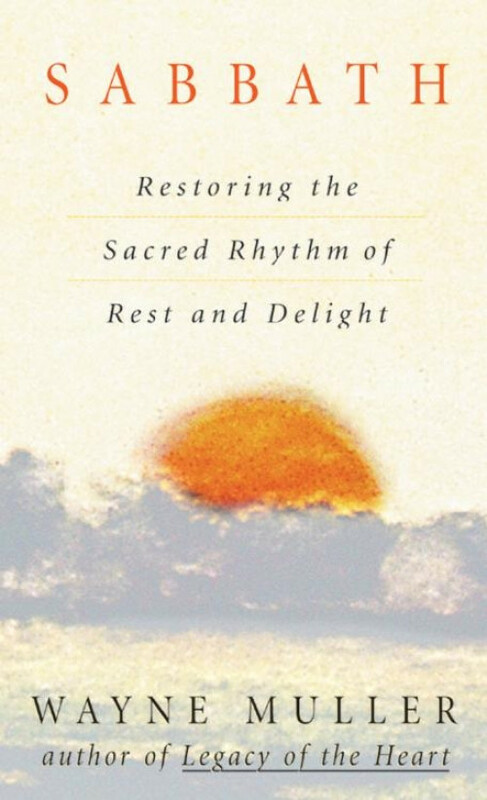 Inviting us to drink from this "fountain of rest and delight," he offers practices and exercises that reflect the sabbath as recognized in Christianity, Judaism, and Buddhism. Through this way of nourishment and repose, Muller teaches, we welcome insights and blessings that arise only with stillness and time. Rich with meditations, poems, and inspiring true stories, Sabbath asks us to remember this most simple and gracious of all spiritual practices. Beautiful beautiful recording. He has a lovely gentle voice. His way with words is gorgeous, simple and profound. A generous open heart and a brilliant gentle mind. A transformational experience. His work has touched me in so many ways and marked an important step forward in my spiritual journey.